This isn’t your boring, average breakfast casserole! This Jalapeño Popper Breakfast Casserole takes everything you love about jalapeño poppers and packs it into a delicious and filling breakfast casserole. It is busting with spicy jalapeños, velvety cream cheese, crispy bacon, and flavorful cheddar, all layered between fluffy eggs. 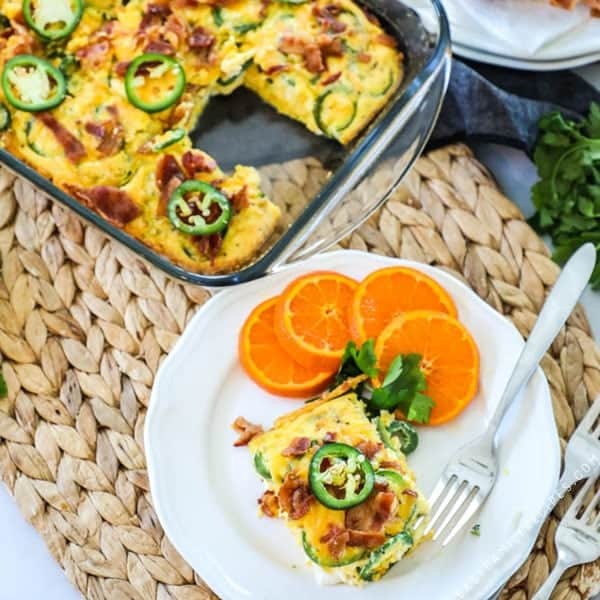 Jalapeño Popper Breakfast Casserole makes a great dish for breakfast or brunch and will feed a crowd! If you don’t have a crowd, the leftovers also save wonderfully to be heated up throughout the week for a quick and easy hot breakfast. We love a good breakfast casserole at my house. We started with making them traditionally over holidays, or for pot lucks and brunches, but they are so darn good we make them much more often now! There are two big reasons I really love breakfast casseroles, besides the obvious delicious factor. First that it has the simplicity of making the whole sha-bang in just one dish. You probably know by now that one dish meals are my jam, and this is breakfast’s gift to one dish meals. What’s not to love with less dishes and a delicious breakfast at the end? Second is that they save wonderfully. 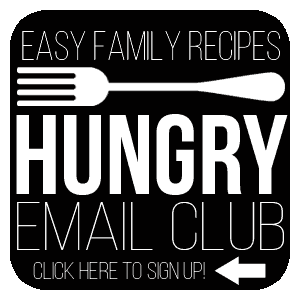 It allows you to do a meal prep for a hot breakfast for your family! You can both refrigerate or freeze the casserole (see section on this at the bottom for details) which allows you to have a hot breakfast made in minutes on a busy morning with just a plate and a fork for clean up. 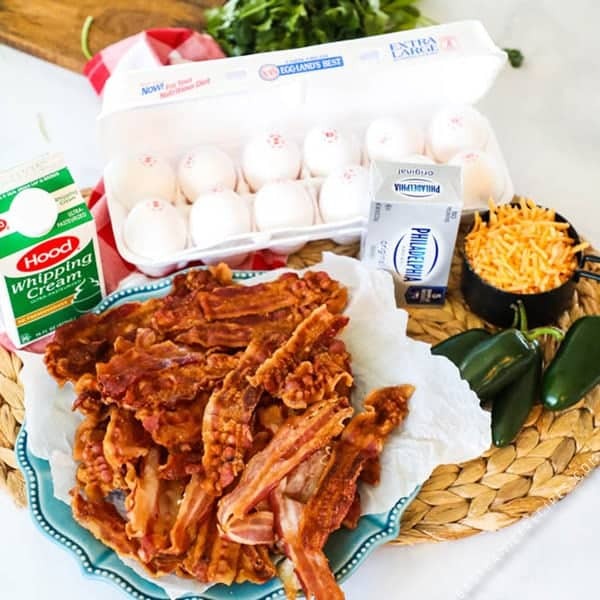 If you are as sold as I am on this, try out this Jalapeno Popper Breakfast Casserole Recipe, then check out some of my other favorite breakfast casseroles like this loaded hasbrown breakfast casserole, my sausage egg and cream cheese breakfast casserole or my green chile egg casserole. Serve it alone, or go with one, two or more options to build as big of a breakfast as you need to serve your crowd. 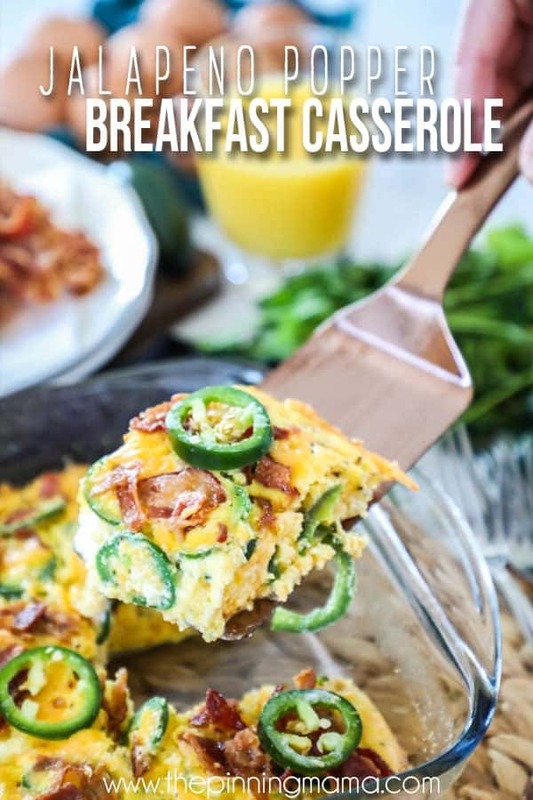 If you have something else that would go perfect with this Jalapeño Popper Breakfast Casserole that I missed, make sure to leave me a note in the comments so I can give it a try the next time I make it. I have the FULL printable recipe card below, but I always like to go over some of the tips and tricks I use for making the recipe perfect, as well, as some frequently asked questions I get so that if anything pops up while you are going over the recipe or cooking, hopefully I will have an answer for you! If not, please feel free to drop me a note in the comments. Q: Can I substitute milk for heavy cream? A: Yes, skim, 1% or 2% milk can be substituted for heavy cream. This will change the richness and texture of the Jalapeño Popper casserole. I prefer heavy cream which is why that is what I specify in the recipe. Q: Can I add hashbrowns, crecent rolls, bell peppers, bread or other ingredients into this casserole? A: This recipe is tested as written and delicious! With that said, many of the things I listed above could definitely be added into this recipe with a positive result. If you like more of a crust on your casserole you could line the casserole dish with crescent rolls or hashbrowns. If you love veggies, you could easily add some red bell pepper or onion to the egg casserole. You could possibly add bread, but would likely also need to increase the liquid. All in all, additions or substitutions could likely be made, however, I haven’t tested them all and can change the recipe or cooking time so use caution. So I encourage you to try it and let me and other readers know in the comments how it worked for you! Q: How do I know when the Jalapeño Popper Breakfast Casserole is done? A: There are a few ways to check for doneness in this egg casserole. You can use a toothpick inserted in the middle of the casserole. When it is done it should come out clean. The middle of the breakfast casserole should be set in that if you move the pan it doesn’t jiggle. You will also notice that the sheen that you see when the eggs are wet will start to diminish. If you lightly touch the top of the casserole (careful it is hot!) it should spring back. If you would like to go by temperature, the safe cooking temperature for eggs is between 149-158˚F. Making sure the casserole is done is important, but making sure you don’t over cook it is equally important to avoid dry eggs! Q: How do I slice/serve the Jalapeño Egg casserole? A: I like to slice it while warm using a plastic knife. This helps it not to stick and will slide smoothly through the casserole. I cut it into the rows long-ways (2 cuts) and 4 rows on the 13″ side of the pan (3 cuts) to make 12 servings of the casserole. As I mentioned way up at the beginning of this post, this can be easily used for meal prep to make a hot breakfast in minutes throughout the week. You can make the casserole for this purpose, or just save the leftovers prepped and ready to eat whenever you are. To save the leftover casserole, make sure it is completely cooled, and sliced into individual serving sizes. Then package in airtight containers or zip top bags and place int the refrigerator for 3-4 days, or the freezer for up to a month. To reheat the casserole place it on a microwave safe plate, covered, in the microwave and heat for 30 second increments until it is heated through, or cover with foil and heat in the oven until it is heated through. Enjoy! I really hope that you and your family enjoy this new twist on the classic breakfast casserole as much as we do! 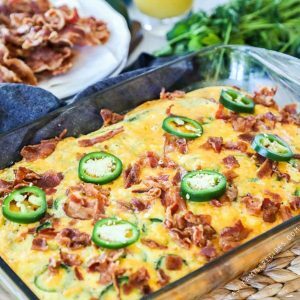 This Jalapeño Popper Breakfast Casserole is has everything you LOVE about jalapeño poppers all packed into a delicious breakfast casserole! Drop the cubes of cream cheese evenly throughout the egg mixture. Thinly slice, or dice the jalapeño peppers and sprinkle them evenly over the top of the casserole. Garnish as desired and serve warm. Enjoy! Milk can be substituted for heavy cream, however it will change the richness and texture of the casserole. You can prepare bacon any way you like. I have tips for cooking bacon in the oven here or cooking bacon in the microwave here. Leftover egg casserole can be stored in the refrigerator for up to 3 days or in the freezer for up to a month. Sign me up!!! I can’t wait to try this one! Can you use jarred jalapeños on place of fresh! I just made this casserole, and it is very good! I did use the jarred jalapeños, and the flavor was amazing! Thank you for sharing this with us. I just passed it along to my friends. HI, Can I make it tonight but not cook it until morning? That would probably work, however it might take longer to cook coming straight from the fridge. I just pulled this out of the oven. I haven’t tasted it yet, but it looks and smells amazing. Mine seems like it was completely done in the first 35 minutes, so I topped it with the bacon and cheese and put it back in the oven just until the cheese melted. Great great great dish. I played a bit and tried half as directed and adjusted the other half. For the second half here are the additions I made. *cream cheese & shredded cheese mixed together then crumbled through out (refrigerating first works great). Remember these are “additions,” be sure to include ingredients originally listed. Thanks for sharing this great casserole dish! Excellent, it has become a family favorite! We do add garlic powder and cayenne for additional flavor. Thanks for a great recipe. So glad you enjoyed it! I’m going to try those spices next time! I’m obsessed with jalapeno poppers. Been making this for years. I call it jalapeno pie. Has anyone substituted milk for the heavy cream? How was the consistency?